Posiblemente el mejor hostel en el que he estado. El recepcionista es un chico extremadamente hospitalario y te ayuda en todo. Tiene una educación exquisita y me facilitó mi estancia en Kiev. Me sentí acogido como un rey. Deseo lo mejor a este hostel y a sus recepcionistas. Se lo merecen todo. Muy majos. Gente muy profesional y servicial. Perfecto. The Magic Bus is a magic place. It's beautiful place and very quiet. The people is very polite and kind. It's closed to the center. 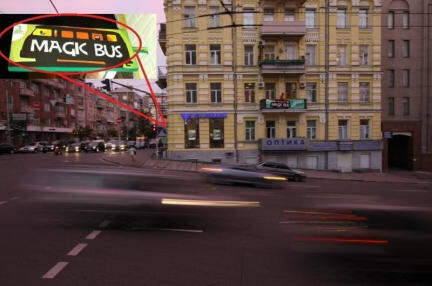 The Magic Bus is a wonderful place is you want to visit Kiev. It's clean, there is everything necessary and so cheaper. We recommend this hostel if you want to visit Kiev. 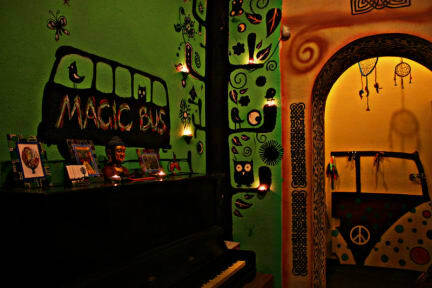 We hope to come back to Magic Bus. Las chicas que atienden son muy simpáticas,amables e interesantes. Es un lugar en donde tenés independencia y no estas controlado. Te dan tu llave y te manejas a tu placer. Lindo lugar. BASTA DE GENTE QUE RONCA,EN LAS HABITACIONES COMPARTIDAS!!! Worst hostel I've been to. It's very dirty, they don't clean any day. Staff is nothing friendly and helpful. Atmosphere was not good, I was afraid to enter in this hostel. If you plan a trip to Kiev, this hostel is your last option! !